Mold! Is your health being jeopardized by mycotoxins from mold? Do you have nagging symptoms and general feeling of malaise that just do not go away? 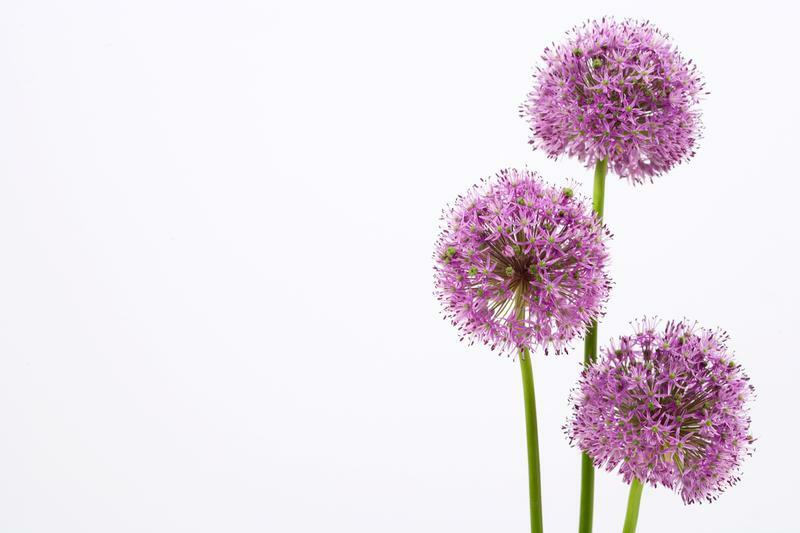 Do you have allergies and other symptoms that are causing difficulties breathing and concentrating? Do you experience confusion and disorientation indoors, but are okay outdoors? Do you believe you may have Chronic Fatigue Syndrome (CFS) or Fibromyalgia (FM)? Do you have Asthma? How about Leukemia? There is probably a mold connection. These conditions are very likely due to living and/or working in a moldy environment. Constant contact with mold spores can impair immune function, making your resistance to other opportunistic invaders weaker. This creates a cascading downward spiral of health impairments that are causing problems for millions of people, and most of them do not understand why! In my practice in Seattle, Washington most of my clients had mold & candida (fungal) related symptoms and conditions. Many, if not most of these people had been misdiagnosed as having other ailments that allopathic medicine was unable to help them with. Mold and resulting fungal infections were the primary reason I went into alternative healing as a profession. I was sick for years and never understood why. This is such a common circumstance in the modern world, especially in mold conducive climates such as the Pacific Northwest of the US and other damp, humid climates. What can we do about this growing problem? Public awareness and education on the issue is vital. It is necessary to find the appropriate resources to remedy the interior environments without adding more chemicals and toxins to the environment. Sometimes the chemicals people use to clean mold will actually aggravate the condition more! And of course, to learn how to repair the damage to your own health and well being, safely and affordably with natural healing. We need to take a serious look at what is growing on the walls, behind the walls, behind the refrigerator, behind the couch, in the windows, in the carpet, in the basement, in your car and anywhere else mold grows. Now that I live in the dry climate of Albuquerque, New Mexico, it has been so much easier for me to really cleanse the fungal infections from my own body, as the dry climate & mold free environment has allowed my body to rest and heal. While I was living in the damp climate of the Pacific Northwest, I was in a continual process of cleansing and rebuilding while I was still breathing the mold spores. This was certainly better than doing nothing at all or I would have become very ill. But it is still necessary to remove yourself from the source of the toxins, or you will not fully recover. The mycotoxins, are just that toxins! Mycotoxins are poisons invading your body and internal organs. The toxins can and will eventually get to the brain and can cause disorientation and confusion. The good news is that there are things that can be done about the mold as well as for your own inner health! It is important for you to have the information needed, so I have offered this reference section for you. Here you can find resources to find mold inspectors & testers, resources on how to clean and repair your living environments and to find some healing for yourself. You may find you need to move to another home, or location to really heal. Dust: Mold thrives on dust, about 80% of molds grow on dust. Keep dust levels down everywhere in your home. Pillows: Did you know pillows attract mold and hold mold spores? Most pillows harbor Aspergillus fumigatus, (a white mold) that is one of the most toxic of the mold spores. Pillows should be washed, dried or better thrown away and replaced often. In a study done at the University of Manchester, pillows, even relatively new pillows, were found to be contaminated with Aspergillus fumigatus, the mold implicated in the deaths of patients suffering from leukemia, AIDS, and complications stemming from bone marrow transplants. Each pillow had 4-16 different types of mold and a million spores per pillow. Synthetic pillows were shown to be the worst. Remember too, that mold spores will stay in your laundry and clothes! This means that you are contaminating yourself with mold spores everywhere you go! They can then infect the next environment you are in. You may wish to buy new towels, sheets and so on. Wash sheets and mattress covers frequently. Wendy's Laundry Tip for removing mold. Distilled vinegar is a very effective way to stay ahead of mold. Add about 1 cup to each load of laundry, especially for towels which tend to really absorb molds. Baking soda. Add a handful or more of baking soda to each load of laundry. Borax is also very effective at clearing mold out of fabrics. Add according to directions on the box. Borax is proven to kill mold on any surface, it is safe, clean and non-toxic. I found that after repeated washings with vinegar and baking soda, alternating with Borax, you will be able to remove the mold from the items you wish to keep. Sometimes, it's just better to start over with new towels! Vinegar is also effective for cleaning windows, kitchens and bathrooms. I don't believe it is totally effective against toxic molds, but at least it is a non-toxic and inexpensive way of cleaning that does reduce mold infestations. Baking soda and Hydrogen Peroxide can be used to wash walls, floors, etc. Please wear a mask and gloves. Do not use chlorine bleach to treat mold! Chlorine irritates mold and tends to make it grow more stronger after it recovers from prior chlorine bleach treatments. 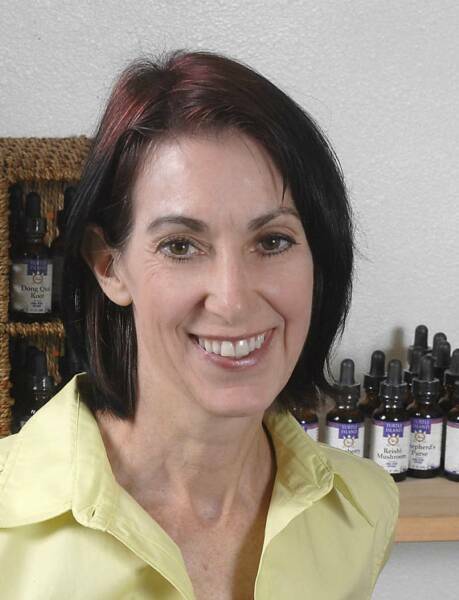 Wendy Bodin, CPH CPH RMT has herself recovered from extensive mold toxicity and has over 20 years experience helping people with mold, candida, and other fungal related conditions. She offers Natural Health Consultations and specializes in helping people with opportunistic infections such as mold/fungal issues, food and airborne allergies as well as relief from anxiety and stress issues. Holistic therapies are effective and safe. Consultations are available in the Albuquerque area of New Mexico by appointment. She also offers on-line and distance healing consultations by appointment. She is a Certified Kinesionics Practitioner, Certified Wellness Kinesiologist, Certified Professional Herbalist, Energy Therapist, Stress Release and Empowerment Coach and intuitive healer. Please call Wendy for an appointment. 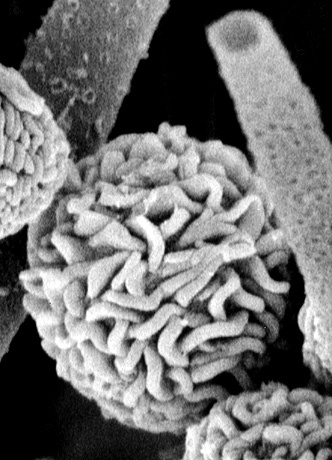 "Aspergillus fumigatus, the species most commonly found in the pillows, is most likely to cause disease; and the resulting condition Aspergillosis has become the leading infectious cause of death in leukaemia and bone marrow transplant patients. Fungi also exacerbate asthma in adults.........Aspergillus is a very common fungus, carried in the air as well as being found in cellars, household plant pots, compost, computers and ground pepper and spices. Invasive Aspergillosis occurs mainly in the lungs and sinuses, although it can spread to other organs such as the brain, and is becoming increasingly common across other patient groups. It is very difficult to treat, and as many as 1 in 25 patients who die in modern European teaching hospitals have the disease." Photo of a lung (post-mortum) from a child with Leukemia. There is a Fungus ball (Aspergilloma) in the top center.